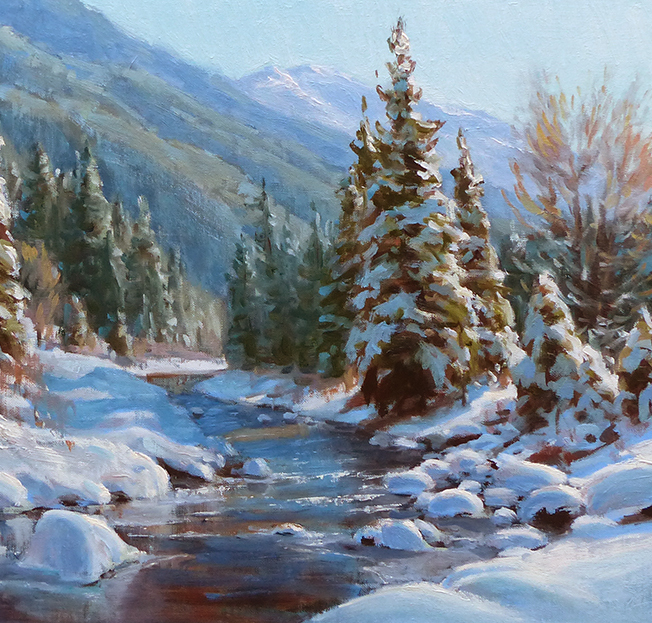 A small study, from a winter day on Hurricane Creek. 7.5x7.5". Oil on Linen.